Need to book a last minute reservation for a two-week tour in Thailand or maybe search through Grabtaxi to find one that could bring you to the nearest mall or somewhere else? All you need is a simple touch of a button, a few minutes and a stable wireless connection and you’re done! It’s that easy with our rapidly evolving technology. We’ve grown so accustomed to it that anything we want is just within one’s full reach. From food to clothes, to getting that love of our lives and fulfilling goals, we sometimes have been wired to believe that everything has become instant. Unfortunately, we get lost in the process; in the end, we fail and give up. However, Simplicio P. Umali Jr., President and General Manager (GM) of Gardenia Bakeries (Philippines) Inc., is one of many people who are counterexamples to our growing belief. He did not earn his string of successes with just a blink of an eye. Once, he wanted to own a posh car then for himself similar to the company’s. Well, he got what he wanted though the minuscule version only. In spite of this, the Lourdesian alumnus would place the miniature copycat on his desk and made it his motivation to work harder. It wasn’t a surprise though that he got what he wanted soon enough. It wasn’t the mini “me” model but the real model of that dream car he used to aspire for. As gleaned from Mr. Umali’s anecdote, we are reminded of those things we couldn’t just earn in an instant. However, if we strive and prove ourselves worthy, then someday, we can finally claim these as ours. Earning success and achieving long term goals don’t just come knocking at our doors overnight; they require time, patience and perseverance. Further, we have to identify the force that can drive us to continue treading the path that will lead us to the realization of our dreams. Take the case of the bread master. If not for the miniature model that Mr. Umali had initially contented with, he would have stopped chasing for the real thing. Mr. Umali also urged us to always aim higher and arrest our fears and weaknesses. Reminiscing his high school days in LSQC, he has been tagged the typical shy guy until he joined the theatre club. This he did to overcome his timidity and lack of confidence. In college, he recalls aspiring to become a marketing manager while his classmates’ aimed to become GMs or presidents of corporations. Years after he realized this, he then thought of what was next for him. Going extra mile and envisioning ourselves pushing further will help us get closer sooner than expected. Never stop learning and equipping yourself with the knowledge and skills. Don’t just settle in your comfort zone and don’t underestimate yourself. As teenagers, we are at times forced to face the world both as a child and a young adult. We get constantly criticized of our actions and this somewhat dampen our spirit and lower our morale which eventually leads us to give up and fail. We all have ups and downs, pros and cons, strengths and weaknesses, but one thing is common: our willpower. If we don’t think and believe we can attain our goals, then how can we translate these into action? If we don’t try to go out of the box, then how can we ensure growth? Be willing to learn new things and change for the better because the ignorance of gaining new insights will lead you nowhere. If we just settle for complacency, we would be stubborn and we wouldn’t improve. Keep in mind that if you really want to attain something, determination, patience and unwavering faith in God and the goodness of mankind are the keys to winning it all. To Mr. Umali, these were all that his miniature car has always symbolized. The challenge is set for our future Christian leaders and gospel brothers. The author, John Carl Ramos, is an incoming Grade 9 student at LSQC. He was the top one of the Grade 8 batch for SY 2015- 2016. His article was inspired by the sharing done by Mr. Simplicio Umali Jr. who was the keynote speaker during the Recognition Program for Junior High School Students last April 13, 2016. 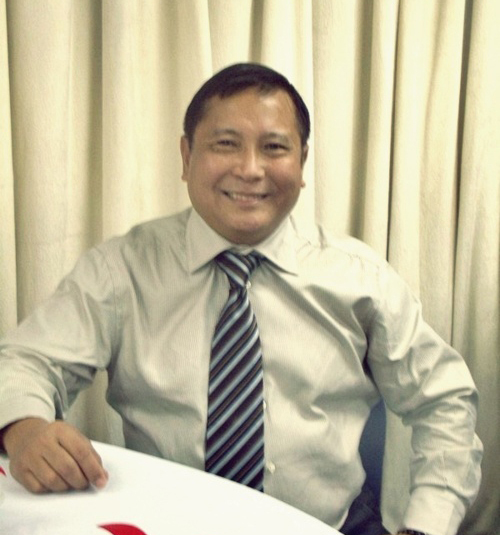 Mr. Simplicio Umali Jr. is the President and General Manager of Gardenia Bakeries Philippines Inc., the country’s largest manufacturer of loaf bread. He served also as the President and CEO of major paint company Dutch Boy Philippines Inc. and the Country Manager of Hoechst Pharmaceuticals. 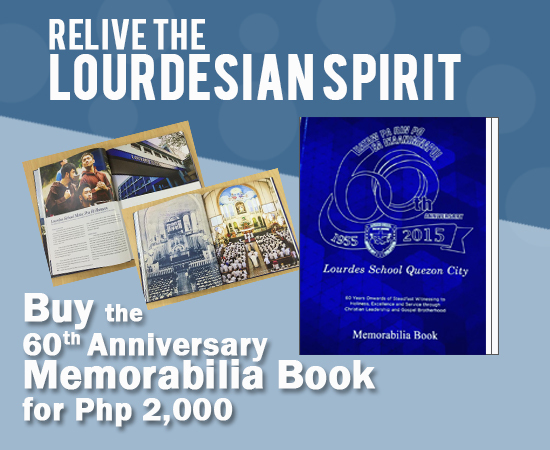 A true blue Lourdesian, Mr. Umali traces his humble beginnings at Lourdes School Quezon City where he spent and finished grade school and high school from 1959 to 1970.